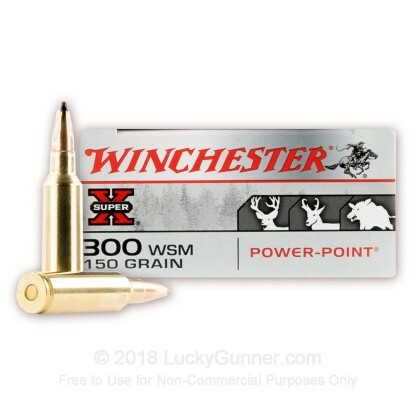 When you want nothing but the best, the 300 WSM, or 300 Winchester Short Magnum, is just the round for you. With the same ballistics as the 300 Win Mag, the 300 WSM is fired in rifles with shorter actions and has a more compact design, causing it to be more accurate and more reliable, making it one of the best rifle rounds on the market. 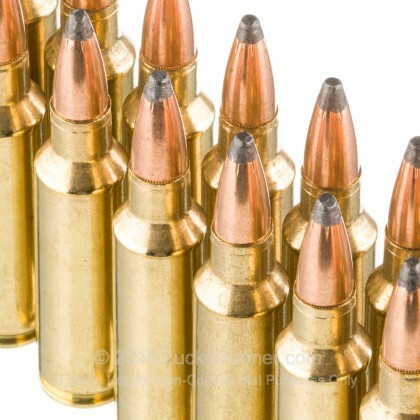 Whether you are looking to hunt or compete in a shooting match, this amazing round is perfect for you. 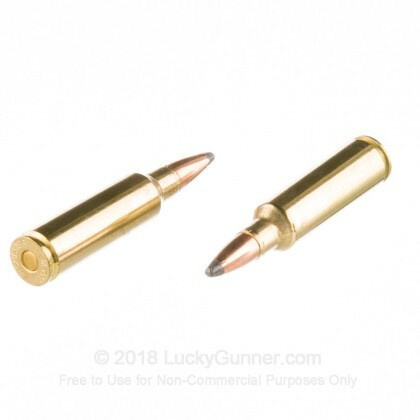 Winchester has been around since 1866, just one year after the end of the American Civil War, helping provide some of the best ammunition in America during some of her biggest periods of history and is now one of the most popular ammunition providers in the United States. 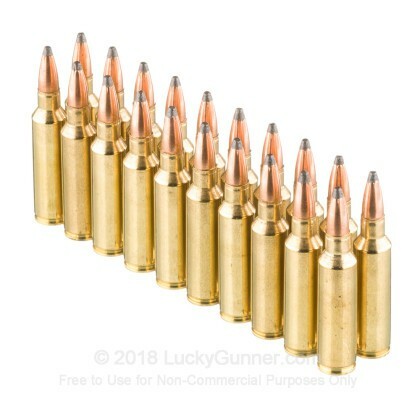 With these 150 grain, power point, Winchester Super-X, brass cased, boxer primed rounds, firing at 3270 feet per second with massive energy, you have all the power, fantastic expansion, incredible accuracy, and hard hitting results you need to take down boar, deer, and even elk. 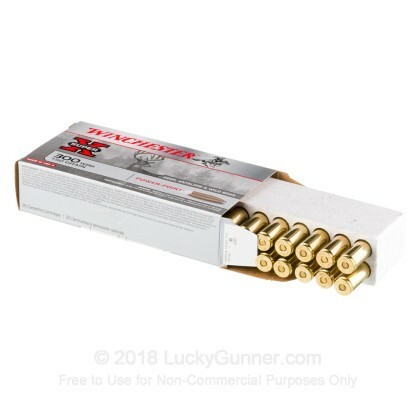 We don't have any reviews yet for this particular 300 Winchester Short Magnum ammo from Winchester. 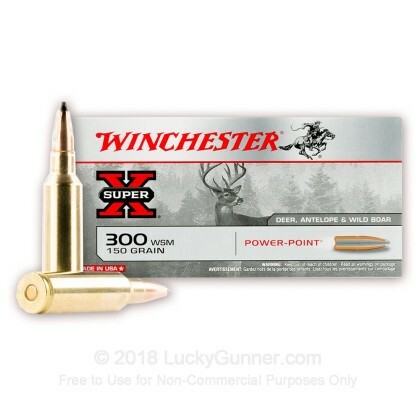 If you'd like to be the first to review this particular 300 Winchester Short Magnum ammo from Winchester, fill out the form below.